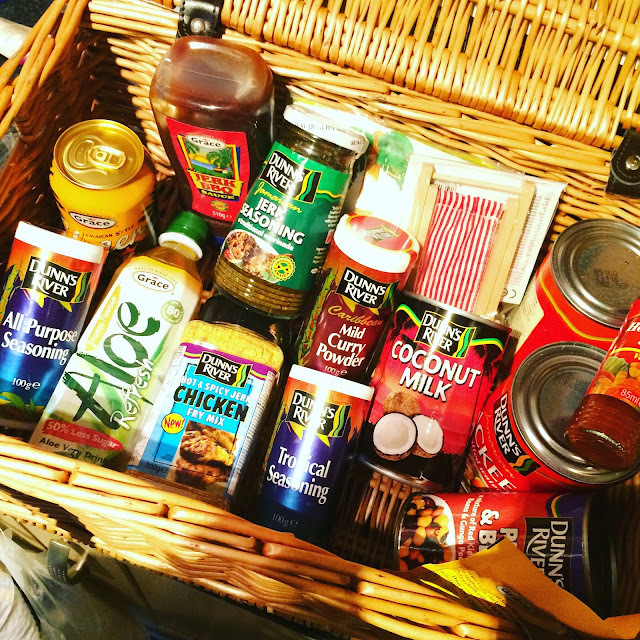 Caribbean food week is on it way and we are celebrating in this house - and thanks to the team at Grace they sent us a hamper full of products to use. A lot of these are staples in our house already and my husband was very happy when this arrived on our doorstop. I got thinking of dishes I would make that would feed a crowd in the best possible way, my usual approach to feeding the masses. I love hosting and love feeding people - Christmas eve at the Edwards is a feast to behold!! A must have when having a real get together ( especailly for me, I craved this dish so badly when I was pregnant with Natty) is curry and rice. Traditional it is lamb/mutton or goat curry which is the big crowd pleaser - but I prefer for smaller scale, and cost effective is do a pork shoulder steak. Plus a big batch of rice and peas. We haven't used the peas and beans mix before, but I will be using it again. These two tubs of seasoning we go through every couple of months - they are good basic seasoning to be able to use across all kinds of dishes (seriously this combination in a shepherds pie is epic). 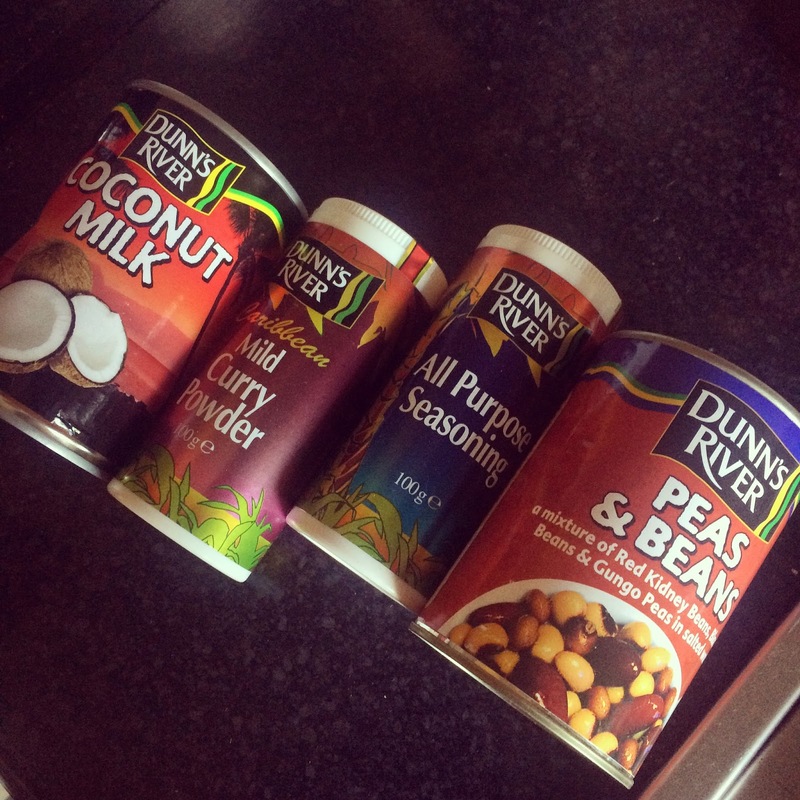 I used these in meat seasoning for the patty fillings. 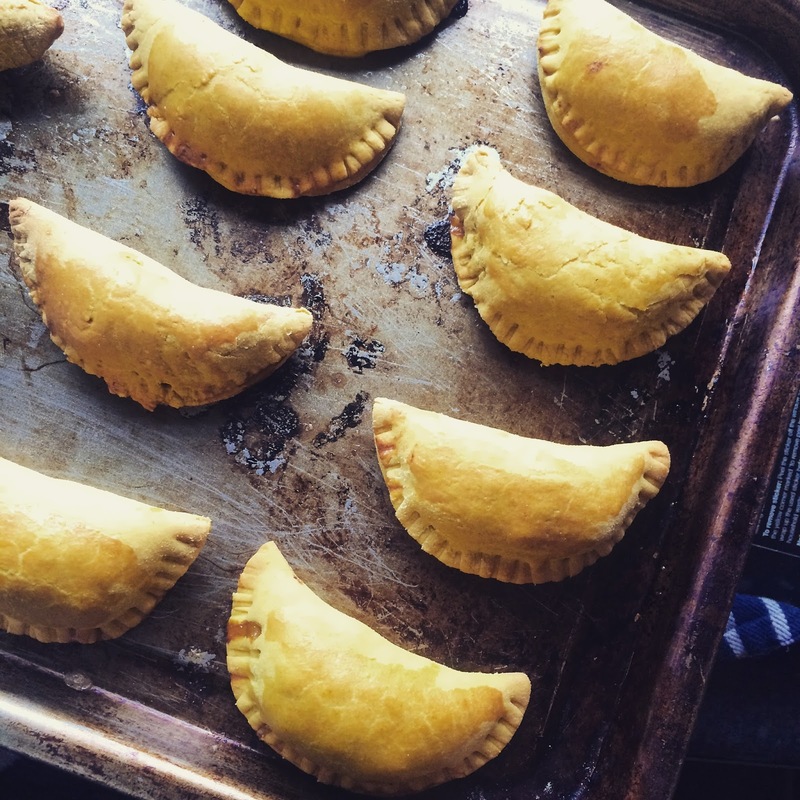 Yes you read that right homemade patties - my husband confessed how much he loved me, again!. This recipe really went far - one pack of 5% beef mince and a batch of dough made around 20 patties. 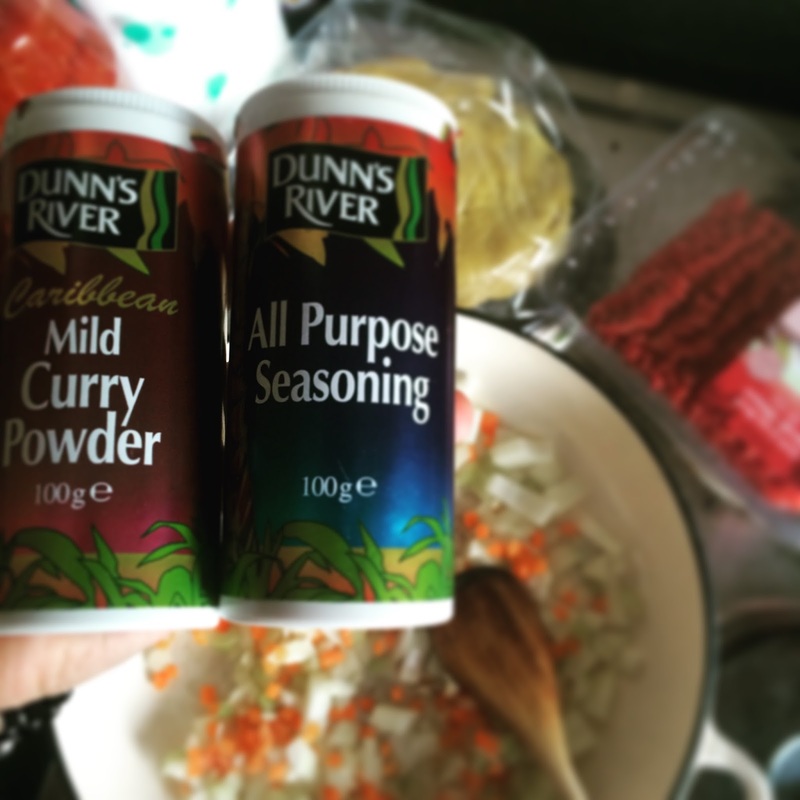 The dough recipe was using 500g of plain flour, 1 tablespoon of turmeric, 225g butter and a little ice cold water. Rub the butter and flour together before adding the water to for a stiff dough. While that was in the fridge I made the filling with frying off some carrots, onions, celery and adding in the mince until cooked through. The mix of seasoning with an added stock cube until cooked down. Cut the dough into circles and add a spoonful of the meat before crimping the edges and brushing with egg. Baked in the oven on 200c until crispy and golden. 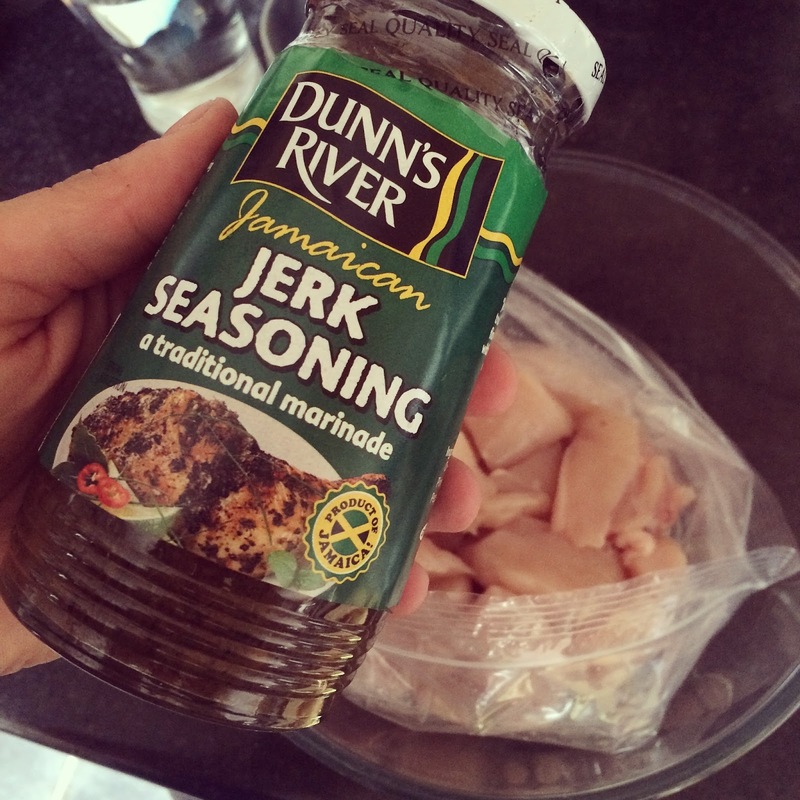 The is the best Jerk seasoning. The wet mixture really gives a well rounded flavour but be careful it has a real kick. I used these seasoning and instead of making up chicken pieces, I used the same seasoning, only one tablespoon to coat 4 diced chicken breasts. Add these to a freezer bag and leave in the fridge to really season up well. These would then become Jerk Chicken skewers. These are perfect for feeding a crowd - one pack of chicken breasts, some hallomi, couple of peppers and courgette. 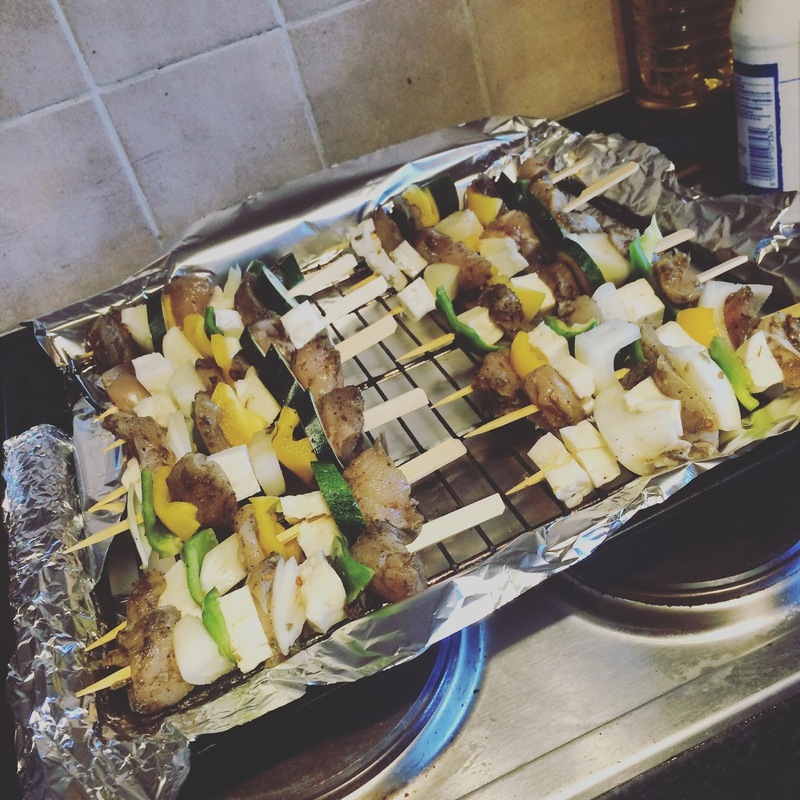 This made a decent sized batch of skewers. Place under the grill with a couple of sprays of oils - I had mine on top of a green salad - and a glass of wine. Mixing the hallomi with the jerk chicken gave a real mellow taste to balance the warm spicing of the jerk. Last but not least with the goodies I made a little light dinner for my mother in law who was looking after our boys for the night - least I can do is feed her!!. Some baked chicken legs with some spicy chicken coating. 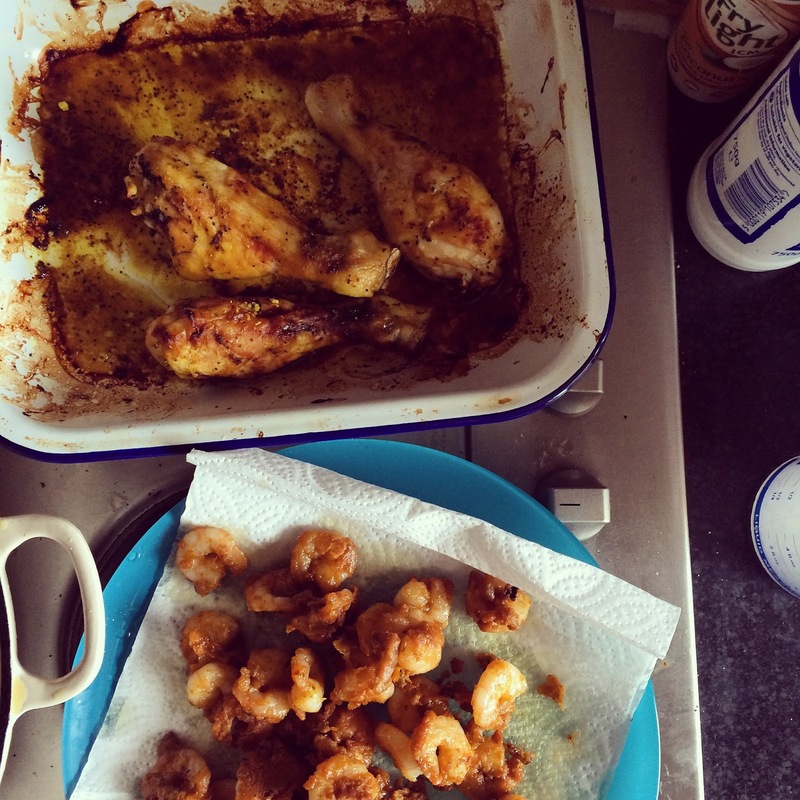 I use some raw prawns and coating them in the seasoned flour mix before shallow frying them. We all agreed this was a winning combination.